Check out The University of Queensland Medical Society (UQMS) Guide to Surviving First Year, a great resource for incoming medical students and students new to Brisbane. Check out the AMSA 'Starting Med Guide' - another great resource for incoming and first year medical students trying to adjust to life in med school! 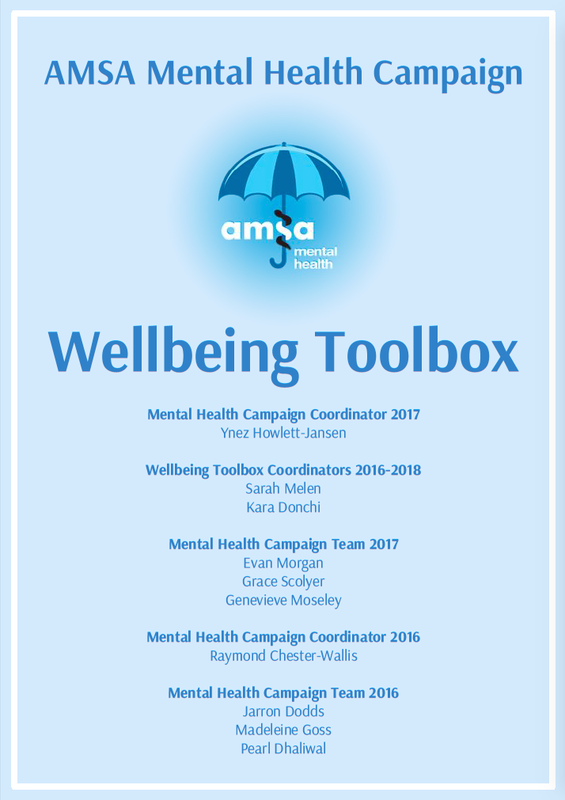 The AMSA Wellbeing Toolbox contains resources and ideas for designing and implementing supportive mental health and wellbeing initiatives for medical students. 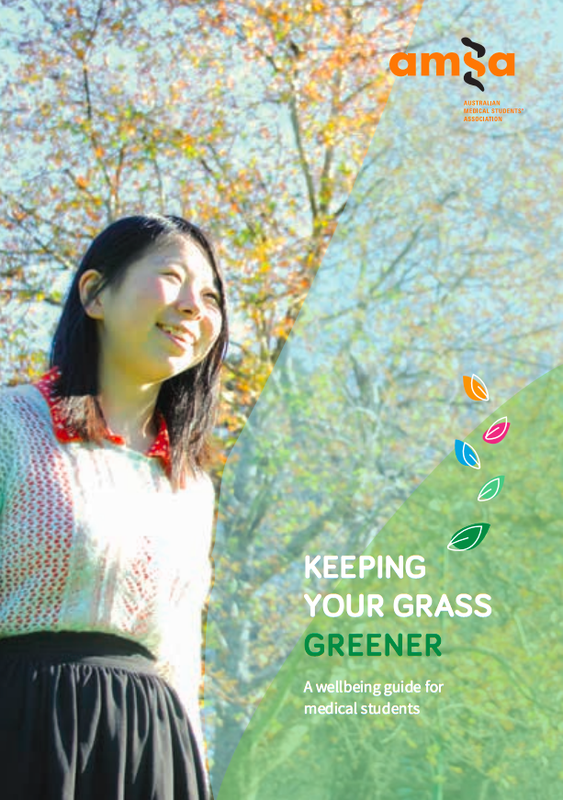 The AMSA Mental Health guide 'Keeping Your Grass Greener' (2014) is a comprehensive document with articles and tips for managing your mental health and wellbeing throughout medical school. Check out the AMSA Orange Guide (2018) to learn about all things AMSA! 'When the cowpat hits the windmill' is a comprehensive guide on staying mentally well and preparing to go on placement - developed by the NRHSN in conjunction with beyondblue.